Cirque du Soleil. Oh yes, O Manel was part of the lure but this 90-minute mega production was one major reason why I found my way back to Macau. The award winning creation that began with a group of street performers in Quebec is known the world over for its innovative shows. 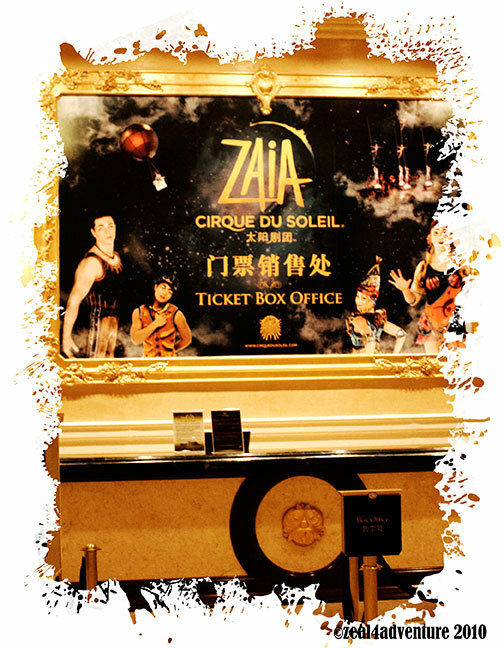 Zaia – the one staged at The Venetian Resort in Macau – is wall-to-wall with breathtaking aerial acrobatics, entrancing special effects and fluid dance and movements, that captivated me from the moment the stage lit up. So to The Venetian we went just for this. 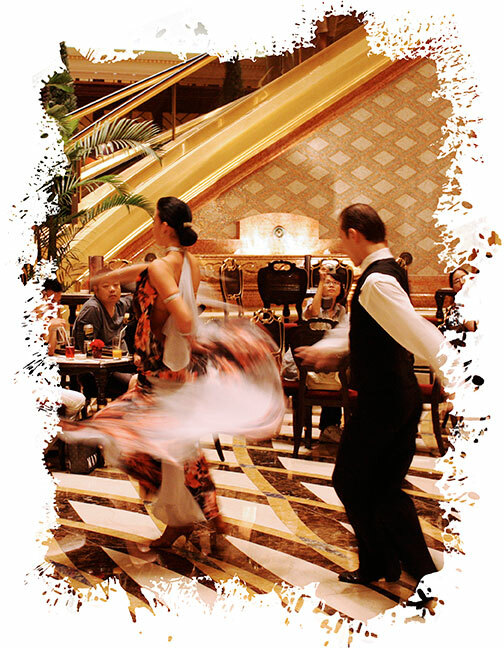 And while we were there, we might as well explore the much talked about Resort-Hotel that supposedly played a crucial role in transforming this once rural part of Macau – even sleepier than old Macau towns – into one of the biggest tourist destination in Asia. 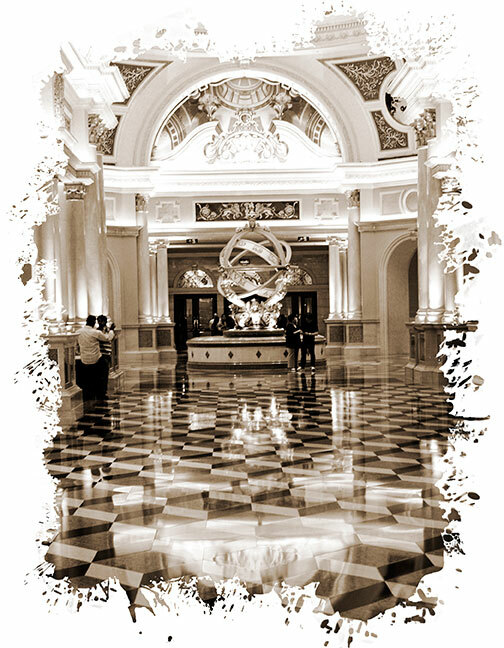 It is home to Asia’s largest casino with 1,000 slot machines and over 600 gaming tables bustling 24/7. 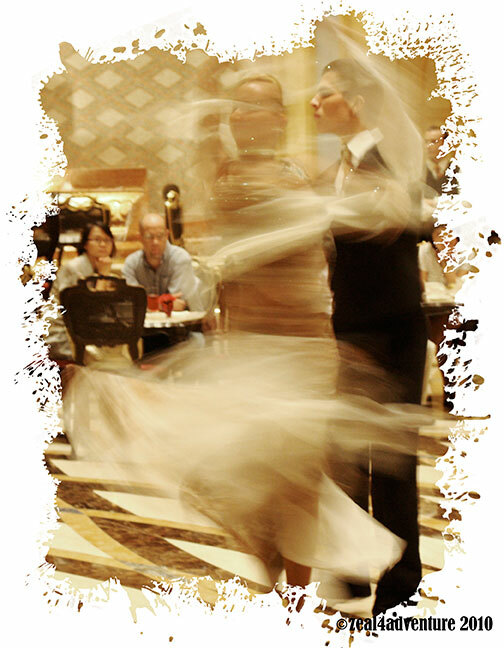 Never a dull moment, The Venetian is filled to the brim with activities at every turn. 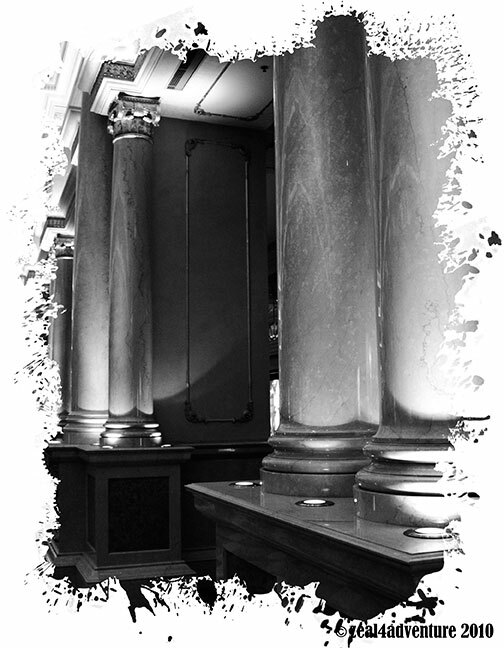 As one enters, one gets transported to lavishness, owing to its décor. The resort boasts of 19 remarkable restaurants but because we were pressed for time, we settled for the food court, which in itself had quite an interesting selection. We also found ourselves wandering around, browsing through boutiques and brand name outlets along the Grand Canal Shoppes. The Venetian sits on Cotai strip, a 5.2 km section of reclaimed land that now links the 2 former islands of Coloane and Taipa in the Pearl River Delta just across from Peninsular Macau. 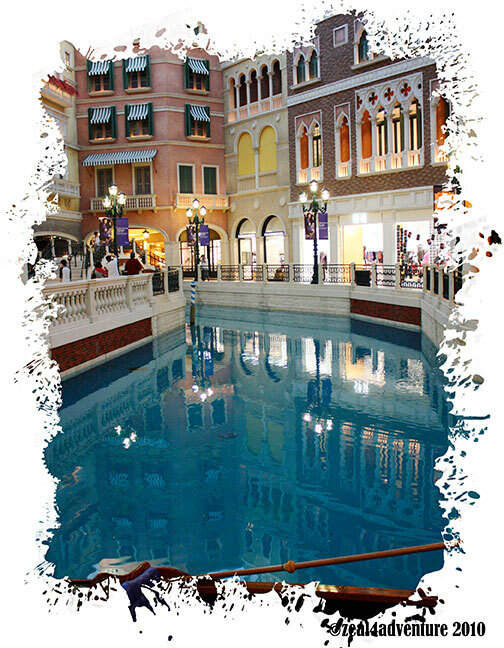 Complimentary Venetian shuttle buses depart throughout the day from the Macau Ferry Terminal, Border Get and Lotus Ferry Terminal to the Venetian Macau Hotel – Resort. Sands Casino also provides shuttle buses between the 2 hotels. For a more up to date schedule, click here. Book Cirque du Soleil online here. 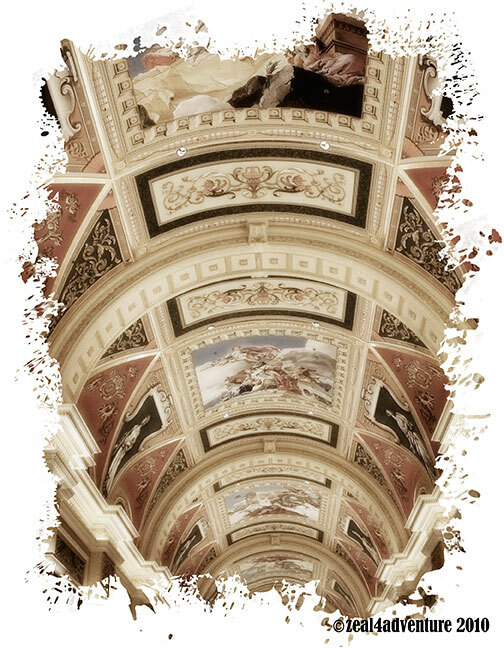 i was there last nov. i was truly amazed by the venetian! Looks like a lvoely place, great photos. It is very clever of you to edge your photos this way. I remember reading your my adventure odyssey. Recently, 3 people close to me has breast cancer. My son’s teacher, my husband’s collegue’s wife and my church friend.